Steak, cocktails, class and a lot of Las Vegas is what you'll get at Delmonico Steakhouse inside the Venetian Resort. This is the steakhouse of a modern day carnivore. It has a subdued atmosphere that feels classy without being pretentious. The steak is the star but the menu has hints of the south and the Cajun influences you would expect from a Chef Emeril concept. Don't miss the cocktail program in the bar and the fired chicken available only at lunch. One of your best meals might just be a seat at the bar with a hand crafted cocktail and the Apple Cured Kurobuta Bone-In Bacon. As good as it gets in Las Vegas. What it’s like at Delmonico Las Vegas? This a comfortable restaurant that has its fair share of visitors at lunch as well as dinner. The wine glass enclosed wine rack is impressive and you know it holds its share of gems. If you like fine dining in a comfortable relaxed atmosphere Delmonico is easily the restaurant for you. 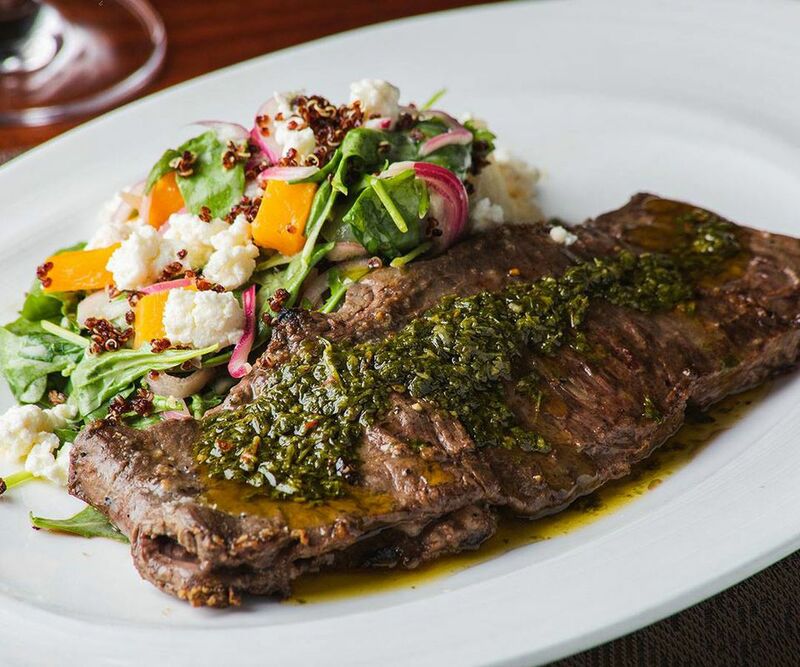 Emeril Lagasse has essentially redefined the steakhouse at Delmonico. Sure you can get beef, but you get it with outrageous sauces and incredible sides. The heaping portions also make the price worth it. How’s the food at Delmonico Las Vegas? If you enjoy wine, there is little chance you will leave here disappointed, they have an award winning wine list and you will find your new favorite bottle at Delmonico Las Vegas. If Lagasse sprinkled essence on the roaches from my college dorm room I would eat them with confidence. He produces the finest tasting dishes possible with the best ingredients. At Delmonico they do it just as good and deliver with the best service around. I tend to hover around the shrimp dishes at Delmonico. They may be wrapped in bacon or drowned in a Cajun spicy sauce it does not matter, I believe in the menu and I let my taste buds do the walking. However, my wife makes comments about my lack of ability to pry myself away from the shrimp long enough to enjoy the New York Strip steak. What she doesn’t realize is that I make my way over to Delmonico for lunch when she’s not around and I have all the beef I want. Make sure you grab yourself an order of the flat bread, you could possibly live on that alone. The Delmonico steak will make your knees weak and anything that remotely looks like the chef was being creative tends to be fantastic. It might be a little pricey, but it is well worth it.